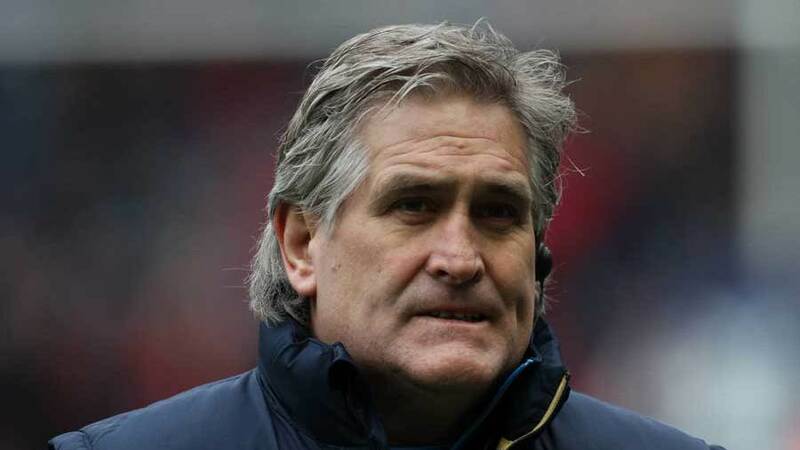 Scotland head coach Scott Johnson has insisted he does not want his impending departure from the role to overshadow his side's final Six Nations clash with Wales on Saturday. Johnson will hand over to Clermont Auvergne's Vern Cotter this summer before moving upstairs to become the Scottish Rugby Union's director of rugby. Johnson heads into his last game in charge having taken only five wins from 15 matches. Johnson said: "It's not about me. I did it for what I feel is the right fit for Scotland and I'll take up a different role and I'll enjoy that - but I'm really proud to say I've been a part of it." After an encouraging start which saw Scotland beat Italy and Ireland to finish third in last year's Six Nations, Johnson has overseen a series of dismal defeats in 2014. Scotland's 20-0 defeat by England at Murrayfield was the first time the Scots had failed to score a point against the Auld Enemy since 1978. However, there have been signs of recovery in recent weeks. Scotland took a last-gasp away win in Italy, before narrowly losing to France last weekend. Johnson said: "I think the last couple of weeks have been encouraging. I go back to the first weekend against Ireland, I thought we were the dominant side then, I think we played terrific rugby. "I think there are glimpses here. Last weekend against France we showed great resolve. "When you concede the penalty count that we were coming on the back of and we were playing all the rugby and not losing our composure and really playing with great intent, it shows a bit about the team I think. "I feel for the boys who couldn't finish off and we have to look at ourselves for that but sometimes the scoreboard doesn't reflect the game."